I told you there was more CES posts coming. I keep remembering more stuff. I got reminded that I did not post about the MommyTech Fashion show and KAPI Awards and the Mint Floor Cleaner performance. 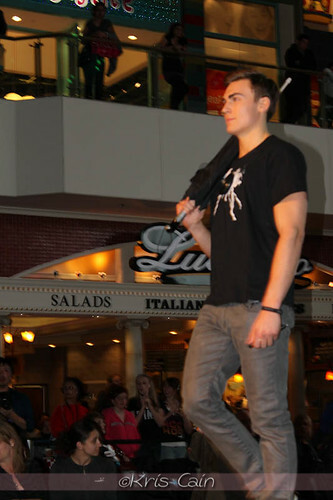 The event was held at the huge Fashion Show Mall in Las Vegas. I had never seen anything like it. There is a whole modeling runway hiding in the floor. It raised up rihght before the show started complete with lights, and glam, AND people. 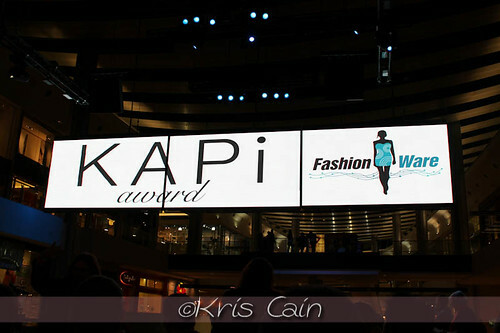 The KAPi (Kids at Play Interactive) Awards gave awards to some technology that betters the lives of kids. Presenters included some ladies that we know and love like Beth Blecherman of Cool Mom Tech and TechMamas.com, Elisa Camahort of Blogher, and Monica Vila aka The Online Mom. Award winners included the Kinect for Xbox, the iPod, and the Magic Piano app to name a few. 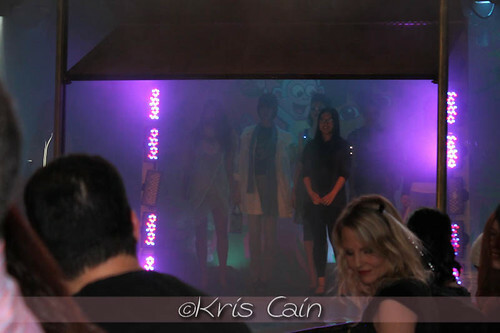 After the awards we were treated to a very cool fashion show full of technology. 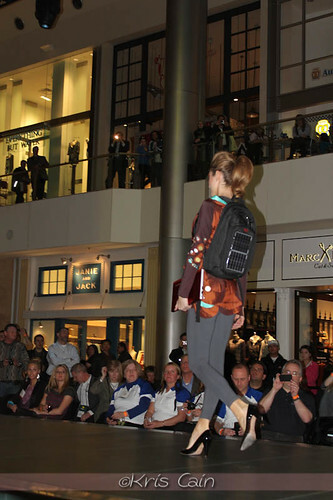 The first product showcased where a solar backpack from Voltaic. The backpack carries everything that you need and can keep your smartphone charged. The Piezing Jacket gathers energy while you walk. Energy is stored as voltage in a built in battery to be later used for charging your gadgets. The Lenovo Ideapad is one of many in a series of ingenious laptop designs. The Mobile Ware Dad was wearing a MP3 Interactive T-Shirt, LED Umbrella, and Livescribe Echo and Pulse smartpens.